Only direct support maintenance is authorized to restamp the serial number. 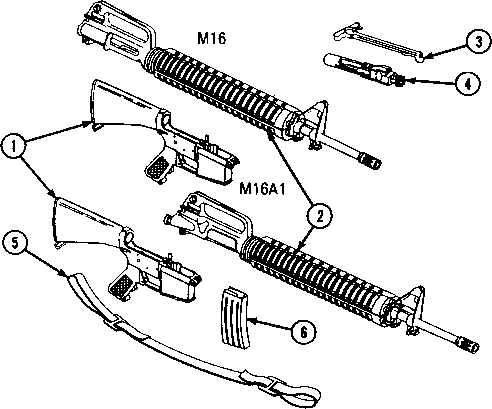 Refer to operator's manual and install lower receiver and extension assembly (1), upper receiver and barrel assem bly (2), charging handle assembly (3), bolt carrier assembly (4), small arms sling (5), and cartridge magazine (6). 1. Remove magazine if installed. 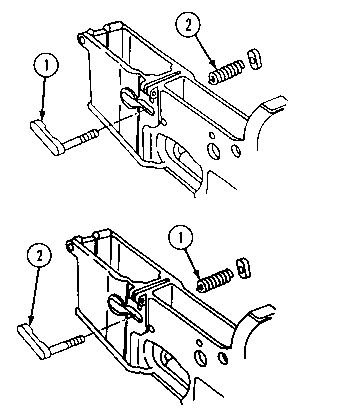 Pull charging handle assembly to rear. Check that chamber is clear. Let bolt and bolt carrier close. Leave hammer in cocked position. Do not pull trigger.